In the September 2011 issue of Archives of Internal Medicine from the Harvard School of Public Health, a new study on the association between coffee consumption and depression risk among women was released. More than 50,000 women in the United States, the largest of its kind, were included by the Harvard researchers. 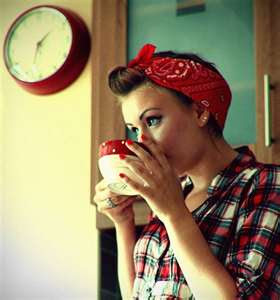 The new study reveals that drinking coffee may lower women's risk of depression. Women in the study who drank 2 to 3 caffeinated cups of of coffee a day were 15% less likely to develop depression over a 10-year period compared to those who drank 1 cup of coffee or less per week. The findings are in line with earlier studies that have found a link between moderate coffee consumption and reduced risks of suicide, prostate cancer, breast cancer, and stroke.